The controversy follows comment last week by Iain Duncan Smith, the work and pensions secretary, who said the unemployed should "get on the bus" and look for work. Another unnamed minister said the benefit changes would usher in a phenomenon similar to the Highland Clearances in the late 18th and early 19th centuries, when landlords evicted thousands of tenants from their homes in the north of Scotland. 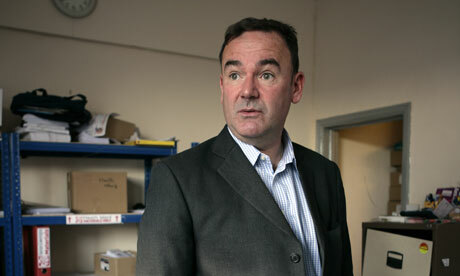 In a sign that housing benefit cuts are fast becoming the most sensitive political issue for the coalition, Jon Cruddas, the Labour MP for Dagenham, last night accused the government of deliberate social engineering. "It is an exercise in social and economic cleansing," he said, claiming that families would be thrown into turmoil, with children having to move school and those in work having to travel long distances to their jobs. "It is tantamount to cleansing the poor out of rich areas – a brutal and shocking piece of social engineering," Cruddas added. The National Housing Federation's chief executive, David Orr, described the housing benefit cuts as "truly shocking". He said: "Unless ministers urgently reconsider these punitive cuts, we could see more people sleeping rough than at any stage during the last 30 years." The issue is fuelling tension inside the coalition. Simon Hughes, the Liberal Democrat deputy leader, said last night he would table amendments to change housing benefit rules. He said: "I would fully expect to be one of those putting forward proposals for changes in the housing benefit rules, particularly for London." Under a clampdown on housing benefit, the chancellor, George Osborne, announced that housing benefit will be capped from April next year at £400 a week for a four-bedroom house, £340 for a three-bedroom property, £290 for two bedrooms and £250 for a one-bedroom property. In addition, from October 2011 payments will be capped at 30% of average local rents. At a meeting of the Commons work and pensions select committee last Wednesday, the day Osborne announced £81bn of cuts in the spending review, MPs were told by London council chiefs that the housing benefit cuts could have devastating results. Nigel Minto, head of sustainable communities at London Councils, who works closely with the capital's housing directors, told the committee that since June London councils had been "procuring bed and breakfast accommodation" in outer London and beyond. The committee was told similar problems would occur in other cities with high-priced property such as Brighton and Oxford. Jeremy Swain, chief executive of the homelessness charity Thames Reach, said he was particularly worried about the impact on numbers sleeping rough in London. "We have reduced rough sleeping dramatically and we have a target of zero rough sleeping in London by 2012. For the first time I'm thinking that we will not achieve that," he said. Karen Buck, shadow minister for work and pensions, said: "The sheer scale and extremity of the coalition proposals means almost a million households are affected across the country." In today's Observer, Labour leader Ed Miliband says last week's spending review took Britain back to the 80s. "This was the week that took the compassion out of David Cameron's claim to compassionate Conservatism," he writes, accusing the Tories of displaying "arrogant ideological swagger". But last night Cameron insisted the cuts were tough but fair. "Departments have to make savings. I don't underestimate how difficult this will be. But we are doing what we are doing because it is the right thing to do – right by our economy, right for our country." A DWP spokesperson said: "The current way that it [housing benefit] is administered is unfair. It's not right that some families on benefits have been able to live in homes that most working families could not afford. However, we are absolutely committed to supporting the most vulnerable families and have tripled our discretionary housing payments to provide a safety net for those who need it." If London is too expensive, remove the social housing props, people will move away and prices will self regulate due to less demand. What's the alternative? For the taxpayer to continue to bear the burden of people living in one of the most expensive cities in the world in the name of diversity? Cmon! What? People that own piles of bricks are accepting market rates and people that actually earn their money are prepared to pay market rates for piles of bricks, but people that don't earn money can't afford market rates for piles of bricks so might have to go elsewhere for some piles of bricks at cheaper market rates? And because the owners of the piles of bricks are getting market rates, they don't want to accept less than a pile of bricks market rate? Shock! Horror! It's so unfair! Call the police! Better than the current system we are leaving where people on HB price those that work out of renting piles of bricks. Plus £250 per week isn't even that bad for a 1 bed. That would get you an adequate place in zone 1 and a good place in zone 2. The other limits seem positively genorous too. Grrr this has lifted my blood pressure at this early hour!. Same mistake as the other commentators - ie there should be mortgages, affordable home schemes and benefits to help us all keep up with "the Market"
No, you tools, all of those things ARE the Market and only serve to make it more expensive for the ordinary family without this help. You put all those poor people together and you'll create shatty towns just like teh one in the 3rd world that this an other countries want to do away with, they'll lose control you'll see. why cant teh say we are going to build mass social homes to reduce the high rents? you'll think that those on low wages and HB will even bother to work if they'are forced out? they'll just get fed up, then the govenrment will shorten time time on benefitsa and this country will see riots. Common sense is the people who can't work shouldn't be living in the most heavily populated and expensive area. Other nations like France and Japan build vast social housing projects outside the city, where land is cheaper, and help can more easily be provided to the people who need it. I agree with this move by the Tories, and I believe when you pull out the infinite bid of paying 'market rates' for rent for council housing, rents will fall over time. Which helps the people who are working down there. Also from a sheer planning perspective its insane to make the place everyone is going to work even more congested by throwing 200,000 unemployed people down there. These poor people are already stuck together even if they are in central London. There won't be many HB claimants in Mayfair - most of Westminster's cases will be crammed in places like Queen's Park ward which was at one time the most deprived ward in all of London. Yes, even worse than the hellholes in Newham, Tower Hamlets and Hackney. The unfair LHA system has meant that landlords in Queen's Park have made a mint by being able to charge Pimlico rents for probably sub standard accommodation in a ghetto. It is already the same in the likely destinations for these unfortunates who are being socially cleansed. In Barnet they are concentrated in Burnt Oak, in Enfield they are in Edmonton and Ponders End. As for riots we will have to wait until the hordes of Somali and Turkish kids in these families reach rioting age. Can't see some single mother with a brood of 8 hitting the barricades. £250pw HB seems too generous for a 1 bed, even for London. Maybe a lot of non-claiming people are going to get shafted by this as a side effect. further north, were a non-claiming renter is currently paying £750pm. get kicked out and a HB head put in on £1000pm or the non-claiming will have their rent raised! Can anyone see why a landlord wouldn't do this? shoot up and their taxes go up in order to pay for evicting themselves! That won't happen because LHA rates are determined locally. If non-claimers in the new area are paying £750 on average then the HB case will receive less than that when the 30th percentile rule comes into effect. It will be interesting to see how all this works in practice. Should keep the government workers and landlords busy in admin for a while to come. I remember seeing something that in Outer London the rent on a 2 or 3 bed will drop by about £12 a week. Must be more in central London. Typical Grauniad sh1te. They are on speed right now trying to ramp up the "catastrophe" of the cuts. Basically they are the Wail of the left. "Jon Cruddas: 'It is tantamount to cleansing the poor out of rich areas – a brutal and shocking piece of social engineering.' "
And where does he think we private tenants live?! Here's an interesting thought. How many of those places where the 30%ers will end up are true hell-holes? A few Rachmann cases coming to the attention of the Guardianistas could have a lot more impact than silly stories like this "hard-working professionals get the opportunity for somewhere a little better". Or in today's world, maybe it doesn't have to be hell-holes, just places that fail to tick some box like having working hot water. walk of shame to the double digit platforms at Euston and head north! were it is 50% cheaper for the taxpayer to house them. Those people should consider themselves lucky they get anything. Aren't rents already at the top of the LHA limits in Edmonton/Ponders End? if so they can't rise unless there is genuine shift up in rents in the area. This could get really messy. I have pretty mixed feelings about this as a person who presently lives in the center of London. We live in a 2 bed flat in Maida Vale. We pay 2200 GBP/mnth for rent. Yes, its ridiculous. We have a neighbor, a single gal (seriously she can't be more than 21) who has 3 kids (the oldest is maybe 6). She does not work, and I believe she has her rent paid for. Now while I feel this is a bit unfair, is she to blame? Are her children, who now are being raised in a better environment (her son attends a highly sought after Catholic Primary in Little Venice). So if they move her to outer London, wouldn't this be rather disruptive to the children. Isn't there a cycle here which needs to be broken? Wouldn't better education help that? I guess, while I think its unfair that she lives in an area most working people cannot afford in London, I don't agree with some sort of mass exodus of these people without a little more thought as to what this will mean. Yes, you have to change the culture of the idea of living off benefits. But I guess I don't see how creating outer ghettos is going to acheive that goal. Without trying to be rude i bet the attendance of the womans kids at this primary school doesn't make it sort after. Parents look for schools in which other parents add value. Does this woman? BTW is she a regular church goer? Most church schools expect this to get in. The other angle is "people being led to the land of milk and honey...."
OK maybe to the land of more affordable housing and the real prospect of being able to afford to support your family. But I guess I don't see how creating outer ghettos is going to acheive that goal. Erm this seems to work for the rest of the country, so why not London? Bolton/Bury in fact all of Manchester is one big sink estate. Hell there are areas where police, fire and ambulance refuse to go without armed police escorts. Let me put it this when talking about local news people talk about a murder, people have to ask which one. Same with rapes stabbings gangstyle executions etc. What a lot of pious lefty Bullsh*t. Great link on the LHA 30th percentiles. South Manchester will need to see rents drop if much of this is going on here. Converted victorian houses generally start at about 500ish pcm, and that for a 2 bed odd-shaped flat. I'm not saying you don't find them cheaper, but the point is about living well above your means at the expense of the working population (i.e ME). I don't see there being much in the way of 3 bed house for 550 pcm, or 4 bed houses for 720 pcm in the good areas. So the levels for south manc seem about right. Doesn't work like that. Most LL renting in decent areas wont touch HB tenants with a barge pole. If the HB tenant is paying the same as the private tenant you take the private tenant every time.